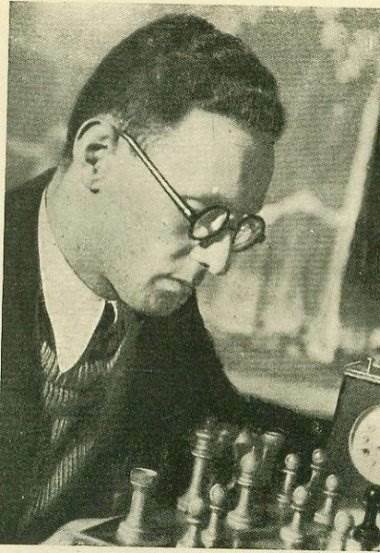 Mikhail Botvinnik became world chess champion after winning the chess world championship tournament 1948 which took place in Den Haag and Moskow. This five-player tournament was organized for the first time by the International Chess Federation FIDE to determine the new world champion as the previous champion Alekhine died in Portugal two years before. Mikhail Botvinnik was a Russian grandmaster and a computer scientist. He was the first world champion who lost the title twice and regained it again in a rematch. His parents were dentists in St. Petersburg/Russia. He learned chess fairly late, when he was 12 years old, but he improved fast. The selected five players were Euwe, Smyslov, Keres, Botvinnik, and Reshevsky.